Whether your celebration is large or small, Food City has a tasteful solution for your party planning. 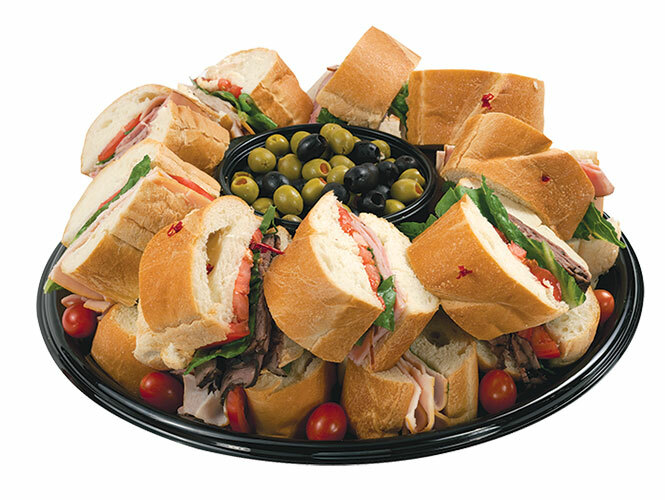 With affordable party trays and platters from our Bakery & Deli, it’s easy to host a festive event with excellent eats no matter the occasion. All trays are made to order, so they are guaranteed fresh! 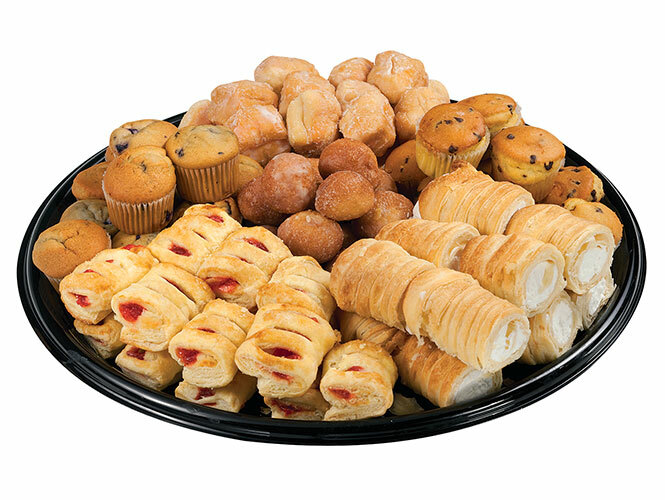 Ordering Party Trays and Platters at Food City is EASY! 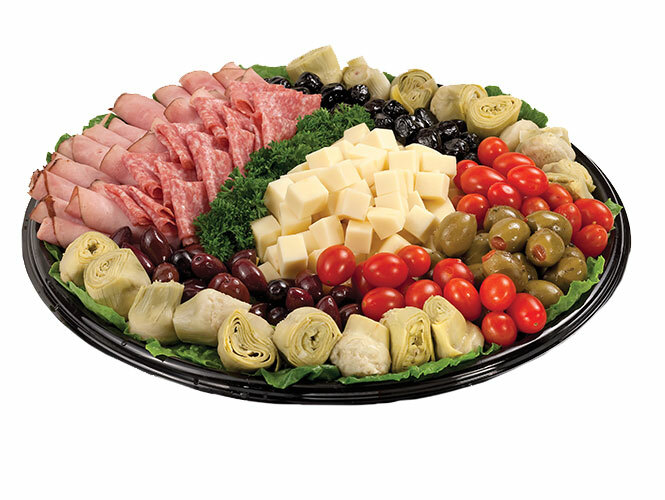 Ordering your fresh made hot or cold appetizers, party trays, snacks, and deli platters for your next get together could not be simpler. If you have questions about pricing or what and how much to order, we are just a phone call or quick store visit away. Our qualified Bakery & Deli associates are always there to help. You can also order online now, or any time! 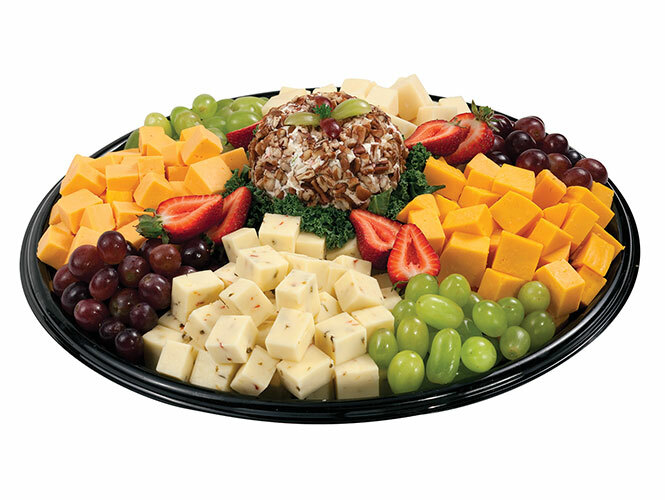 A platter of assorted cheeses featuring hot pepper, Colby, Baby Swiss and yellow American surrounding a creamy cheese ball and garnished with strawberries and red and white grapes. 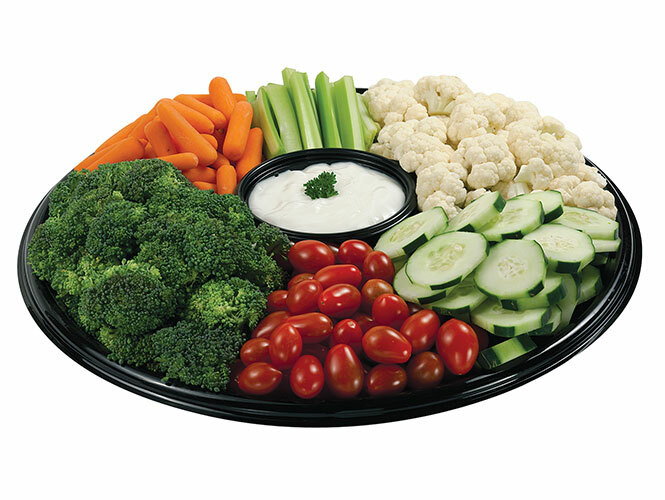 A bountiful harvest of fresh baby carrots, celery sticks, broccoli, cauliflower, grape tomatoes and cucumber slices with a creamy ranch dip. 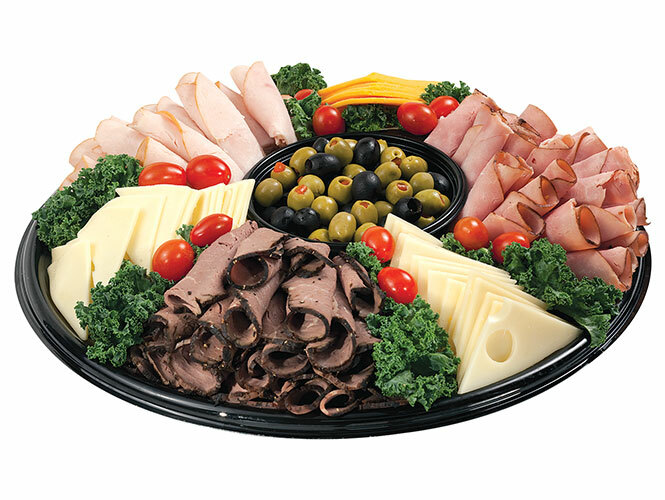 An artfully arranged platter of premium Bistro Deli-Classics meats and cheeses including savory ham, roast beef and smoked turkey enhanced by an assortment of delectable cheeses – white American, yellow American and natural Swiss. Accompanied by Spanish and black pitted olives. 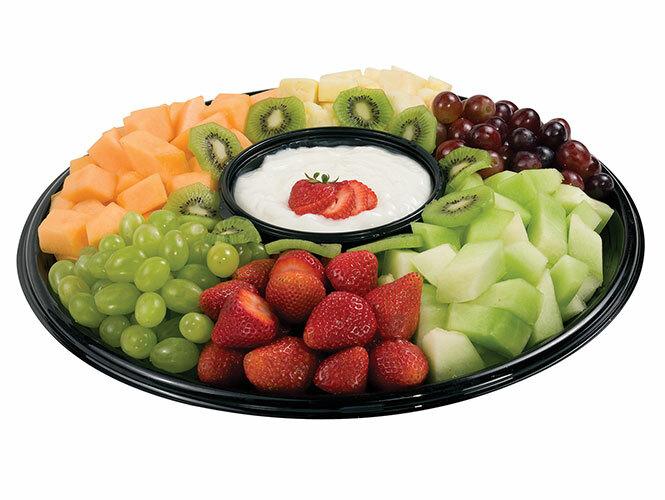 A sweet selection of fruits of the season including strawberries, grapes, pineapple, honeydew, cantaloupe and kiwi with a dip made of delicious whipped cream cheese as a centerpiece. A crowd-pleasing combination of ham, genoa salami, provolone cheese, artichoke hearts, grape tomatoes, black olives, stuffed queen olives and kalamata olives garnished with romaine lettuce and parsley. A favorite for holiday gatherings or game day, these in-store made cheeseballs are packed with flavor. No matter which of our wide variety of flavors you choose, they are always made fresh to order. 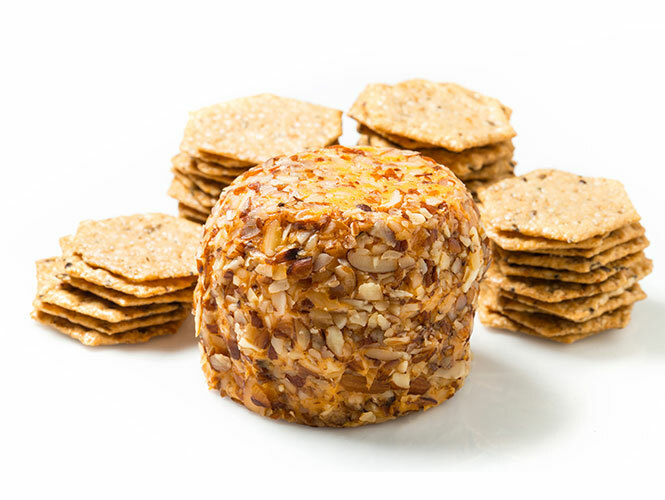 Serve these creamy treats on a platter with your favorite crackers, meat or crunchy snacks. 1 lb cheeseball serves approximately 10-12. 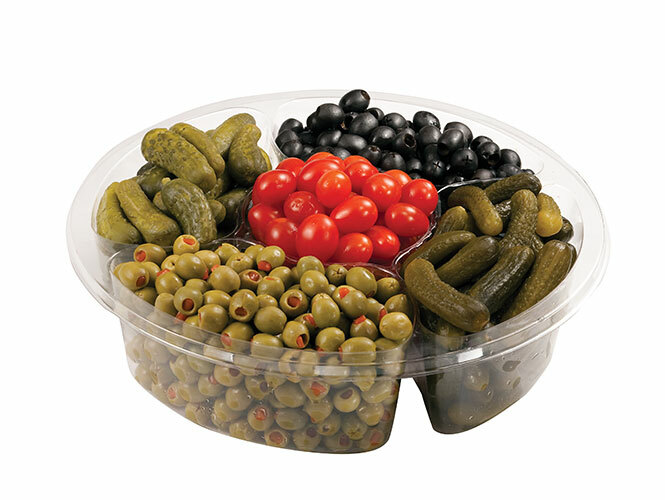 Great as a condiment assortment or on its own, includes baby kosher dill pickles, Spanish olives, sweet gherkin baby pickles, pitted olives and grape tomatoes. 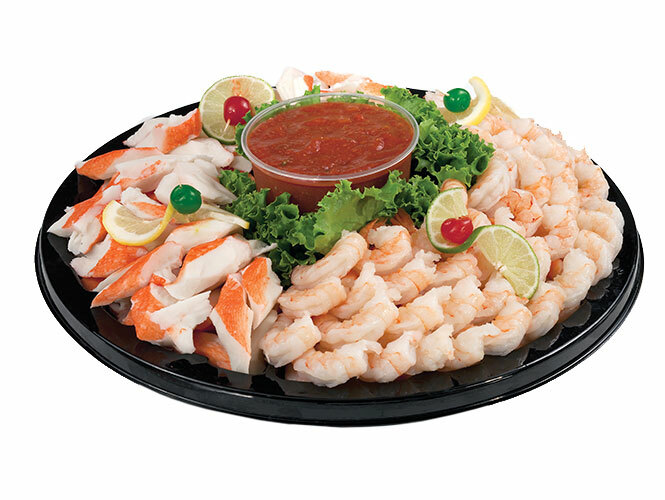 A tasty combo of our premium cooked shrimp, peeled and deveined, together with our flavorful imitation crab meat. Served with our signature cocktail sauce. 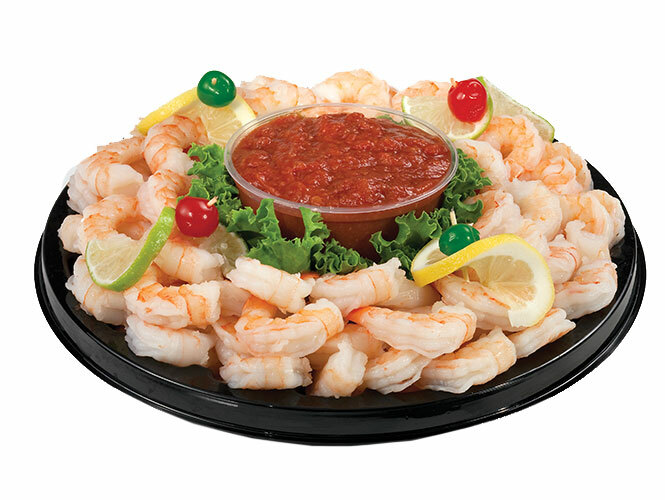 Enjoy premium quality cooked shrimp, peeled, deveined and ready to eat. Comes with plenty of our tangy cocktail sauce. 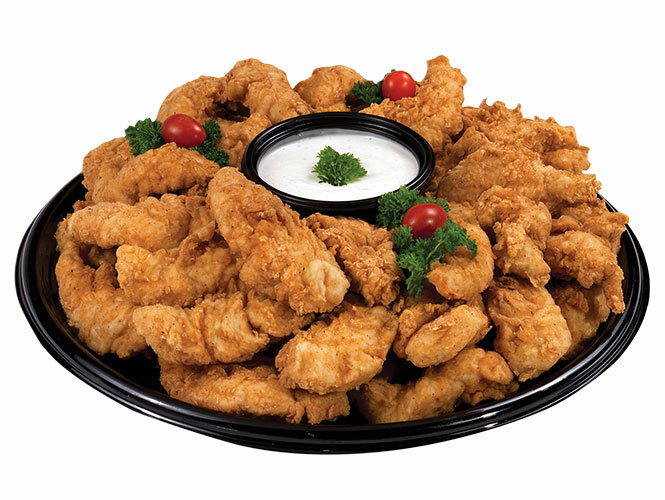 Tender, juicy, cooked to perfection boneless strips of flavorful chicken, hand breaded in our special batter and fresh fried. Accompanied with tangy ranch dressing or barbecue sauce. 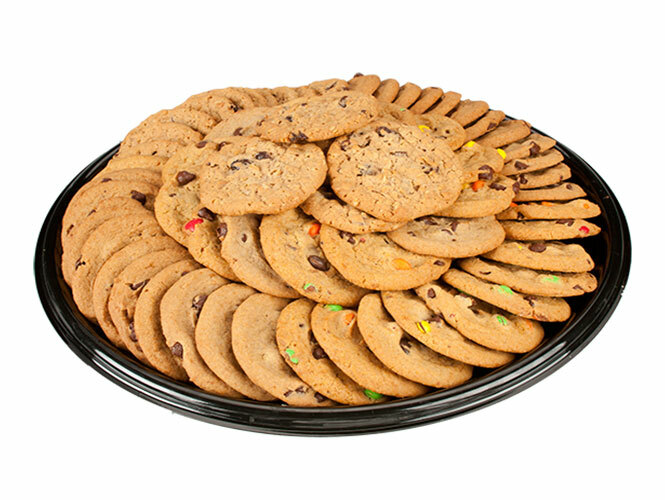 Large tray serves approximately 20-24. Available Hot or Cold. Small tray serves approximately 10-12. Available Hot or Cold. 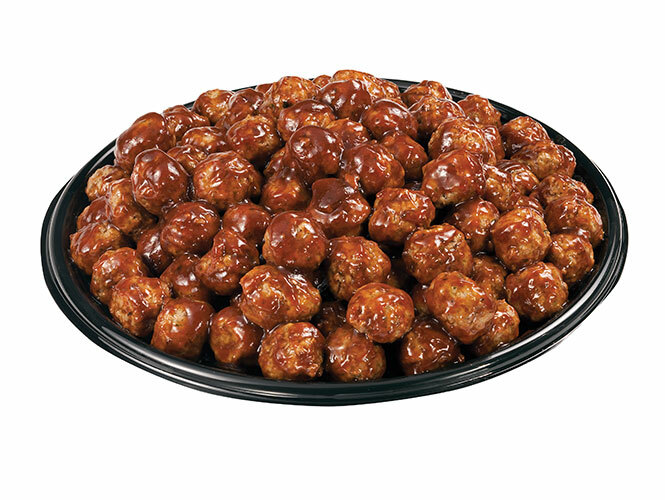 A savory platter of bite size meatballs hand tossed in a tangy house specialty barbecue sauce. Large tray serves approximately 28-30. Available Hot or Cold. Small tray serves approximately 12-15. Available Hot or Cold. 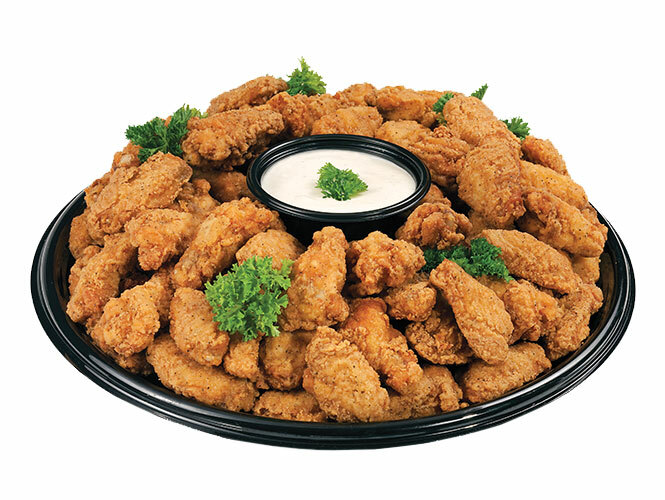 A popular recipe for seasoned chicken wings, served with your choice of ranch or bleu cheese dressing. Ham, roast beef and turkey wrapped in a fresh flour tortilla. Garnished with green and black olives. 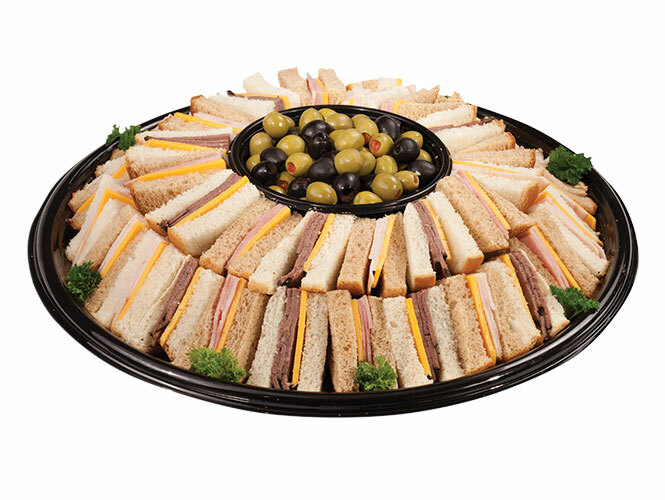 A popular platter filled with an assortment of sliced sandwiches including ham, roast beef, turkey breast and American cheese on a combination of white and wheat bread. Garnished with green and black olives. A fresh-made sub sandwich on French bread sliced into convenient sized portions and stacked with ham, roast beef, roasted turkey, romaine lettuce and tomatoes. Accompanied by Spanish and black pitted olives. 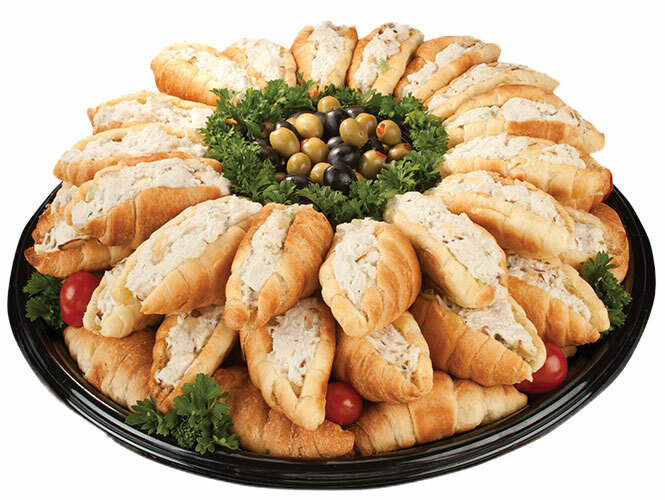 A crowd-pleasing portion of our tasty signature chicken salad served on our own light and flaky baked croissants. Accompanied by Spanish and black pitted olives. A pastry lovers dream, featuring a selection of chocolate chip muffins, blueberry muffins, creme horns, strawberry mini sticks and old fashioned doughnut holes. 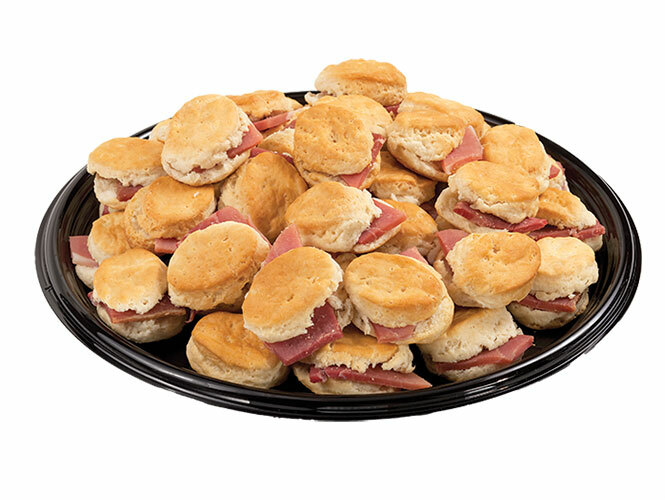 Fresh-baked tea biscuits topped with a generous slice of mouth-watering country ham. Large tray serves approximately 25-30. Available Hot or Cold. An assortment of our favorite fresh baked cookies. Includes three of our most popular flavors; chocolate chip, sugar, & oatmeal raisin. Available in large or small to appease your entertaining needs. Large tray serves approximately 25-30. Small tray serves approximately 12-15. Our most decadent cookies made from the finest ingredients. 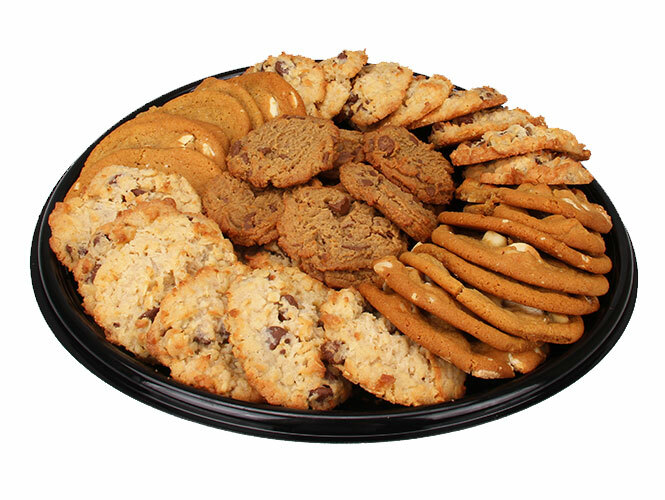 An unforgettable selection of cookies such as the Almond Joy and White Chocolate Macadamia nut cookies. 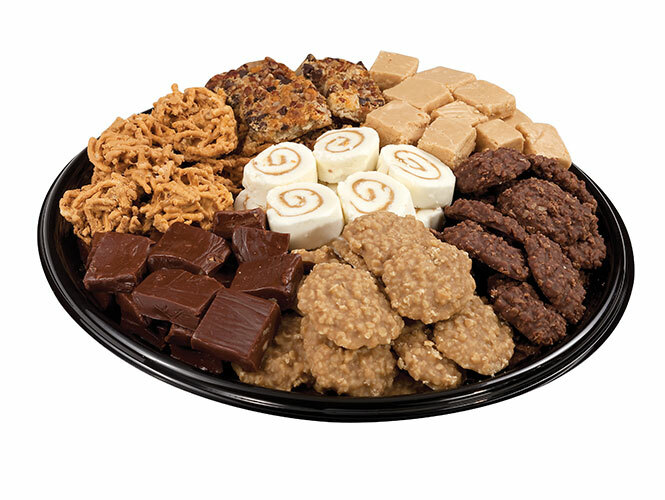 A variety of in-store made fudge, novaks, pinwheels, haystacks & magic bars. For great holiday planning and entertaining ideas, download our Tasteful Creations Party Planning guide. 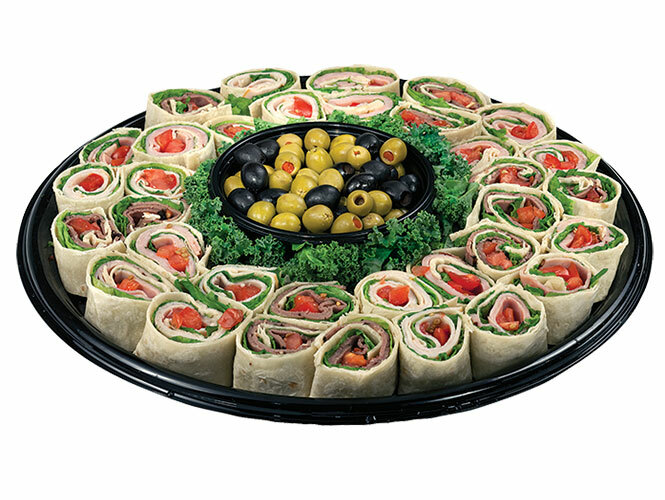 All party trays and platters require 24 hours notice. Offerings are subject to store availability.